For several years now (ever since my sister got us hooked on it) as Labor Day approaches, my thoughts turn to caterpillar hunting. I honestly look forward to it all year! The thrill of the hunt, and then witnessing the miracle of transformation that takes place is miraculous! Our little family always heads out hunting for caterpillars this time of year, and I've been thinking for awhile now it would be the perfect time to have a bit of a party. 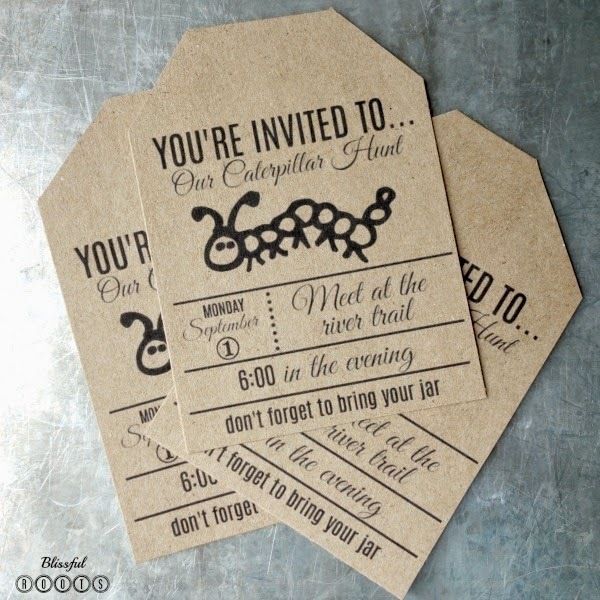 Make some cute invites, meet together to go hunting, and maybe enjoy a treat or two afterwards. Nothing big, but something kind of unique and fun your kids will LOVE! I do have to caution you on the number of invites you send out. Sometimes you find a bumper crop of caterpillars, and other times not so much. 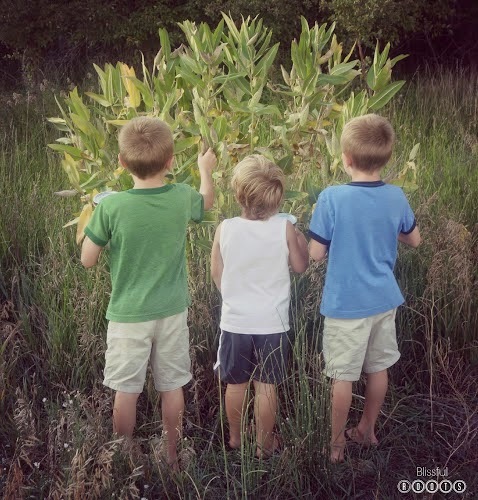 Maybe limit your invites to around 5 or so, and have a few milkweed patch sites in mind (go find some before the party) so you can have a successful hunt for EVERYONE! You can click here for more details on hunting down these caterpillars that will turn into Monarchs. Monarchs are perfect for kids because they turn in a matter of weeks. You can watch the entire process right before your eyes in your little Mason jar. 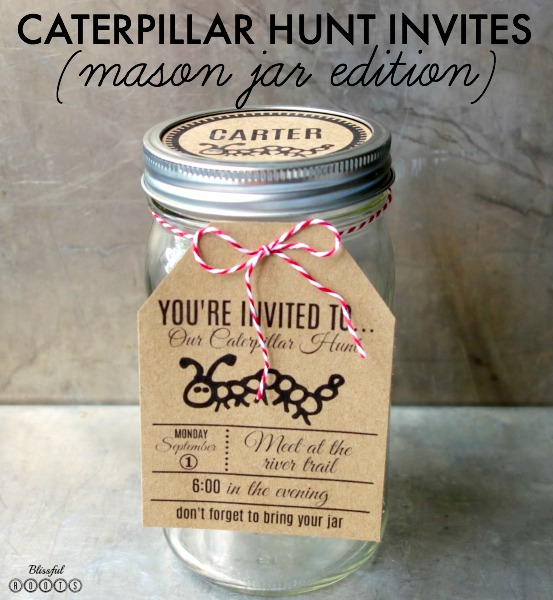 I simply created an invitation in PicMonkey, cut it to be the shape of a tag, and attached it to a quart-sized jar (I find the pint-size jars are a bit too small for the caterpillars, milkweed, and eventually butterfly) with some baker's twine. Oh, and make sure you've punch holes in the top of the lids! I also created name labels for the tops of the jars. This is just for invitation purposes. 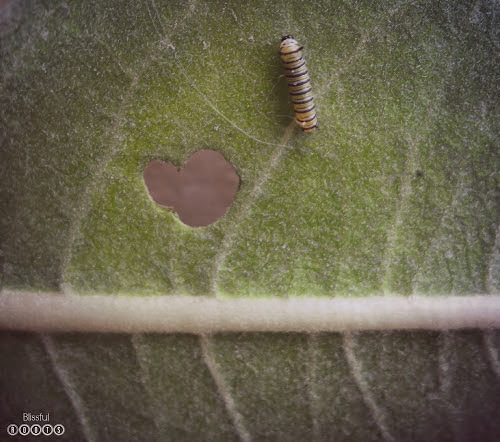 You'll want to take the name tags off after the hunt so the caterpillar has air. 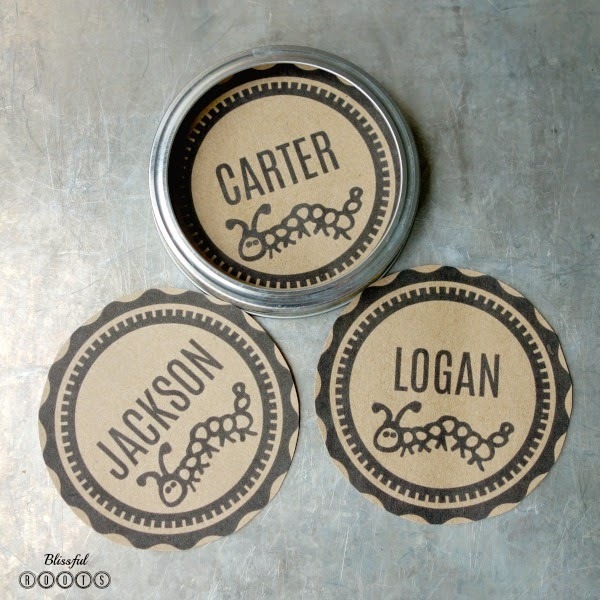 Once you have your jar invitations ready to go, deliver them to the recipients. Then meet on your designated date and time, and hunt away! I also thought it would be fun to have a little journaling card to fill out after the hunt. 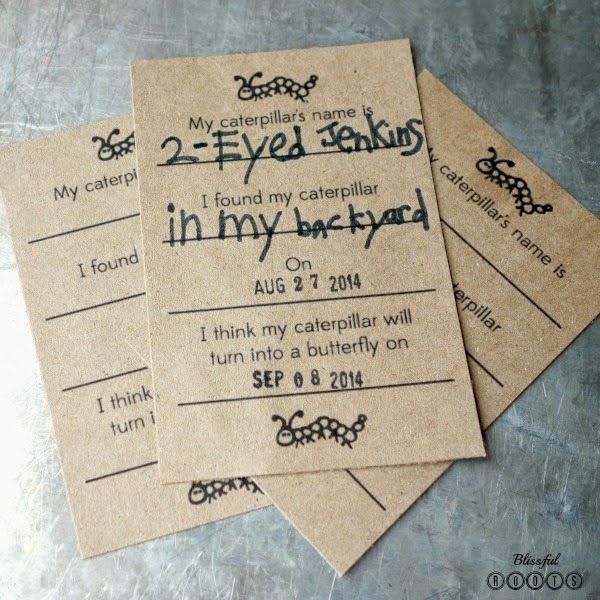 Each of your hunters can fill out the information on the card and keep it by his/her caterpillar jar at home. I happen to have a date stamp, so we stamped the date on our cards, but you could easily have the kids write the dates. 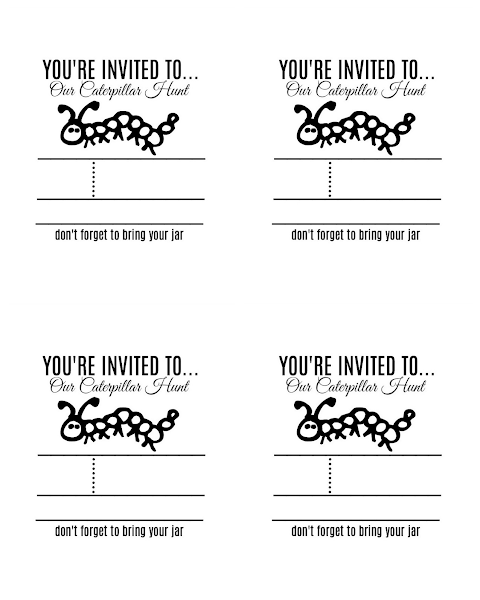 Here are some blank invitations you can print out and fill in the information for your party. 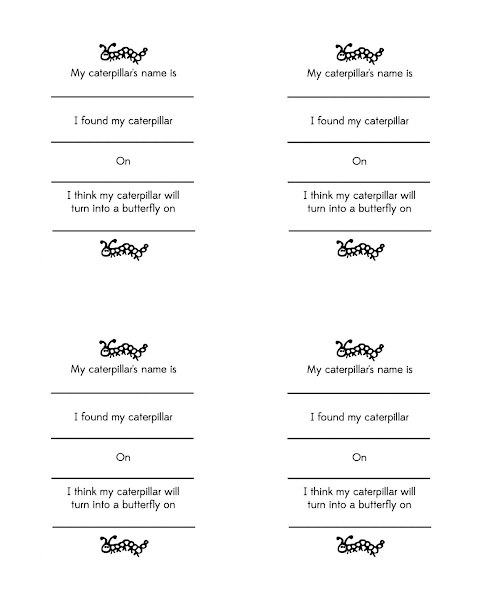 And here are some blank caterpillar journaling cards you can print out to use as well. Happy hunting! I'm sure you'll enjoy it as much as we do! من هذه اللحظة لا داعى للقلق لانك هنا فى أفضل مؤسسة ابادة حشرات بالاحساء تستحدم أجدد وأفضل الادوات والمبيدات لابادة الحشرات بجازان وحمايتك انت و اسرتك من اى اضرار قد تصيبك من الحشرات المؤذية التى تسكن منزلك و من ثم عقب انصرام بخ منزلك بالمبيدات الآمنة على صحتك وصحة اسرتك نعطيك ضمان ومواصلة دورية بلا مقابل لأننا لن نكون سعداء الا وانت راضى عن خدمتنا لمكافحة الحشرات تمام الرضى لان رضاء الزبون من اكثر مميزات شركتنا التي يشهد لها العديد بحسن التداول والاداء فى الشغل .